As the CCNY Men’s Volleyball season enters its midpoint, we’d like to take a look for a moment at how the team has performed thus far. Although the team is suffering from the blows of an abysmal season, there are several positive things worth mentioning about the Beavers overall performance, both as a team and individually. Also, with some key players that play a pivotal role in the success of the team being seniors, we’d like to look at the future of the team and the promising young players that look to fill the void left by those graduating. Here’s a look at how the CCNY Beavers have faired hitherto this point and a look at what is to come. Overall, The City College Beavers are 2-11 with a 1-3 home record and winless on the road with a 0-4 away record. In Conference games they are also winless, posting a 0-6 overall record, 0-2 at home and 0-2 away. In Non-Conference games, they are 2-5 overall, with a 1-1 record at home and a 0-2 record away. In sets won by set their opponents have outmatched the Beavers, 10-3 in the first sets, 7-6 in second sets, 9-4 in third sets, 4-2 in fourth sets and shutout 4-0 in fifth sets overall through mid-season. In terms of individual statistics, Senior starting Outside Hitter Anthony Reyes leads in Kills with 209 total, averaging 4.27 per set, 84 Attack Errors, and 632 Total Attempts. Reyes also leads in Defense by Digs with a total of 126 and an average of 2.57 per set and is third in Service Aces, tallying a total of 10 so far this season. Sophomore starting Setter Oleksandr Boychuck leads the team with 16 Service Aces, averaging .44 SA/Set and in Assists per Game with a total of 252, an average of 7.00 Ast/Set. Junior Middle Blocker Leonel Pascual leads the team 36 Total Blocks and an average of .75 Blk/Set. Among the team leaders in almost all categories is Freshman Outside Hitter/Middle Blocker David Cham. Cham is second on the team in Assists and in Defense by Dig with a total of 80 assists, averaging 1.78 per game, and 76 Digs, averaging 1.69 per game. Anthony Reyes was named to the Bard College Tournament All-Tournament Team for his sparkling performance mid-way through the season. To say that Reyes has been a leader this season for the Beavers would be an understatement. While Reyes performance and production on the court have been enough for him to be considered amongst the best in the conference, his character, sense of humor an emotion are also contributing factors to what him so great. Regardless of the circumstances, his spirits are always high and this rubs off on the rest of the team and sets an example for the younger players. Throughout the game, whether winning or losing, Reyes is very vocal and never hesitates to get his team involved. With a plethora of comical cadences, the team-captain rattles off rally chants that put a spark in the team, serving to keep the team focused. Congratulations to Anthony Reyes on being chosen to participate in the Bard College Tournament All Tournament Team, an accomplishment that is well deserved. Anthony Reyes ranks third in NCAA Division III play in kills per set and is the leader in his conference with an average of 4.27 per game. The national leader’s total is 4.34. Reyes also is ranked first in his conference in Points Per Set, averaging 4.67 per set and is ranked fourth in the nation. Sophomore Oleksandr Boychuck, another of the team’s leaders and important component’s of their success, is ranked 28th in the nation in Aces per Set with a .044 average and is 35th in the nation in Assists per Game with 7.00. 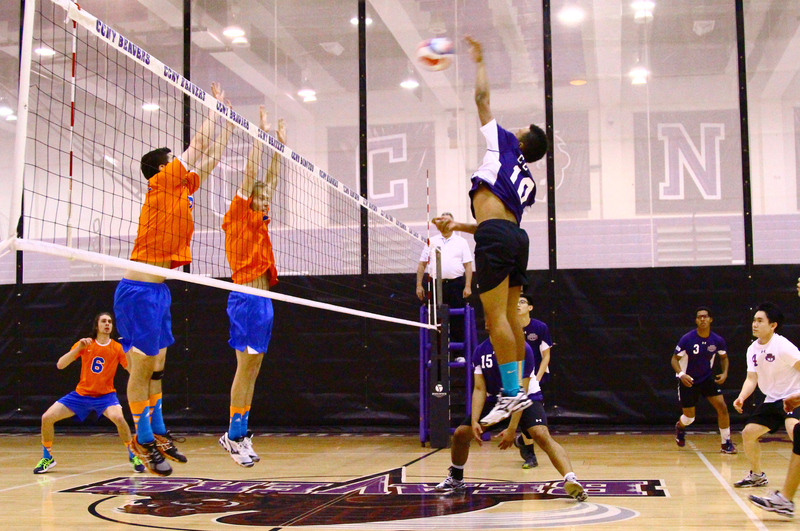 The overall grade of the CCNY Beavers Men’s Volleyball Team reflects more than just their numbers. In all honesty, based on just numbers it would be fair to give them a grade of an F or maybe D-. After all, they are winless in games that mean anything. They are winless in the CUNYAC and their only two wins this season were during non-conference matches. During the course of this season and ending at midpoint, the Beavers have simply been outscored, overmatched and overrun. So, why the gracious grade of a C+, over a more critical and accurate grade? The Beavers embody what collegiate athletics should be all about, ironically, and regardless of their pathetic record. Among many other things, collegiate sports should be about commitment, competition, hard work, and effort. In these categories, the Beavers get straight A’s to be quite honest. These guys enter every game with energy, showmanship, comedy and camaraderie. Winning is important, I will most certainly grant you that. However, quite frankly, it isn’t everything. Progress should be sought with each endeavor, not perfection. If prior preparation prevents poor performance, it must be noted that the Beavers are doing just fine. In practices, this team looks good enough to compete with any team within their conference. 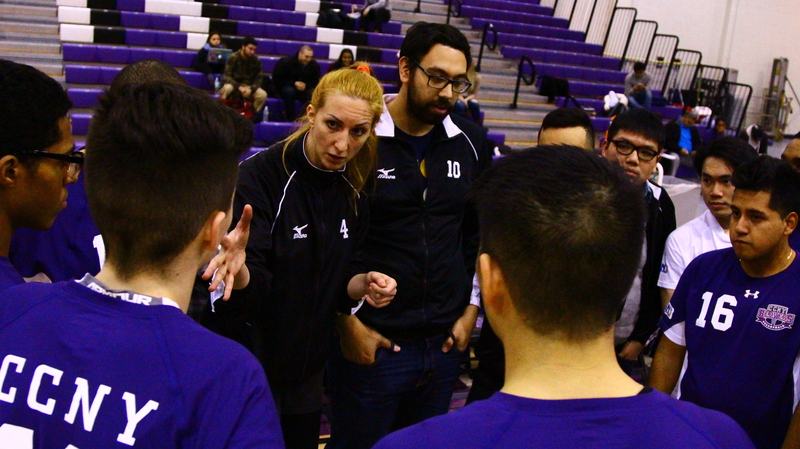 Unfortunately for the CCNY Men’s Volleyball team, how great they look in practice almost never translates into the actual games. If the Beavers want to make the best out of the rest of this season, the one thing that would dramatically improve this team is focus. The Beavers play like they are paid professionals, simply playing out their careers and having fun. They need to be awoken from that little daydream and told that this is not the case. In order for the Beavers decide to stop getting smacked around, swept in straight sets and start adding some “W’s” to their tired record, it will start with focus. They need to play hungrier, a hunger which they have desperately been lacking up until this point. Winning isn’t everything, but it sure does feel good. The other teams in this conference are experiencing the exhilaration of winning on the backs of CCNY and this should make the Beavers angry. I’ve watched this team and, frankly, so should you. As I mentioned earlier, the Beavers embody what collegiate sports and good old competition should rightfully be. Watching these guy’s play their hearts out makes me proud to be a City College student. If they could just focus, put it all together and win a little more often. Is it possible to be even more proud than what I already am? If the Beavers start winning, maybe I’ll find my answer.